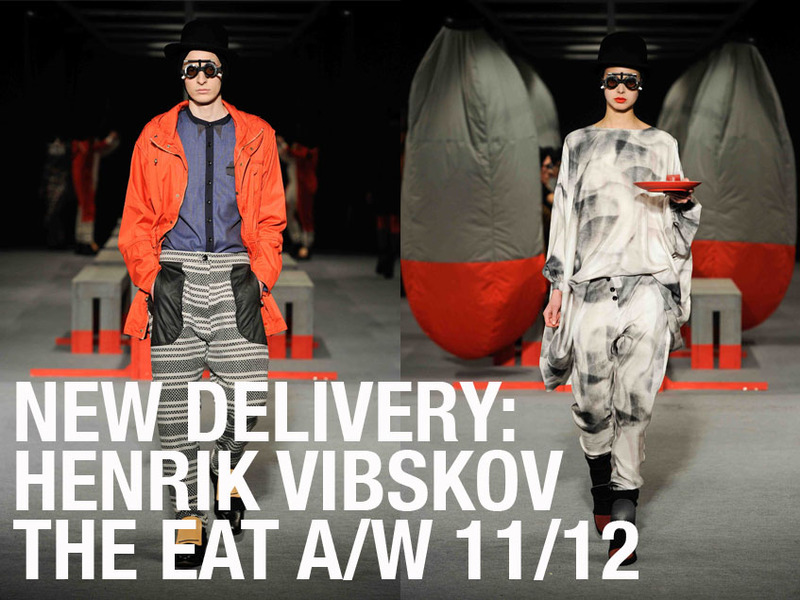 First drop of Henrik Vibskov - THE EAT - A/W 11/12 has finally arrived our Boutiques in NEW YORK, OSLO, COPENHAGEN and ONLINE. HENRIK VIBSKOV A/W 11/12 - THE EAT - Staging a dinner-like scenery, the act of eating itself is not of big importance to "The Eat", but it is the unfolding of the components and the components themselves that are interesting. It is a precise, mechanic, systematised organisation of an environment, a claustrophobic regime that is presented. celebration, it is a description of a dystopian environment or atmosphere, familiar to a prison canteen or a labor camp. With references to films like Fahrenheit 451, 1984 and Brazil, "The Eat" is a critical, dark and at times satirical tale. Stay tuned, more collections coming soon.